People welcome a change from time to time. We change the interior of our homes often to make them look fresh and new again. Save yourself that run to the hardware store and the trouble of painting. Use Wallsmart! 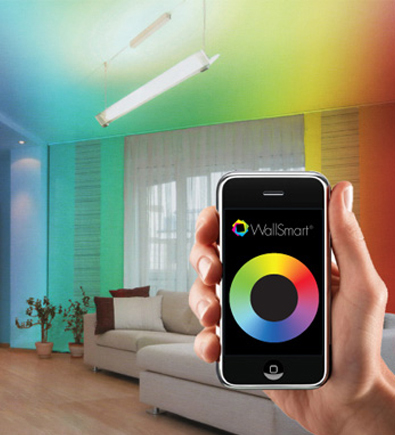 With Wallsmart it only takes the touch of a button to change the color of your walls. 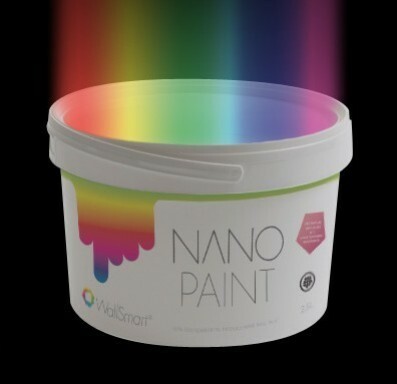 Paint the wall of your choice once with the Wallsmart paint and then start the supplied Wallsmart smartphone application. All you need to do now is to choose a color from the menu. The wireless computer network and nanotechnology in the paint do the rest. In no time you can create new looks that suit every possible occasion.